Drift City is unlike any driving game you'll ever play. Part role-playing game, and part racing game, Drift City will keep your pedal to the metal in your quest to become the ultimate driver! Comment: Drift City is a good racing game, with not so good graphics, but still, the cars and maps are really cool. I had fun playing it, so I'll rate it 7/10. Comment: The cars are neat, same as the maps....but that's probably the only good thing about this game. Comment: Dift city is amzing for some people but not me. Need for speed is much more better. Better maps and cars. This game look very little a bout graphics. Comment: This game is amazing! When I first started playing this it looked out of this world! I am a big fan of ijji.com games and this one I found the best. Buy cars that are from real life and attach parts to get their durability, speed and etc. Accompliush fun missions and go through 4 different cities. The plot of the game is amusing and some what realistic. But when I was a low level, I always wanted to get the Indigo V7 (Corvette) and when I beat the game and leveled up to the level needed; I got my car and I had nothing to do. The whole time I was playing because I wanted to get that car, when I got it... I had nothing to do. Other then that, it's really fun! Comment: The good thing about this game is the speedy leveling. Before you can get bored of repetitive driving, it gives you new parts and cars to keep you occupied. Furthermore, there's always that feeling that you could be apart of something great even at the low levels (a good race team, an active crew etc.). Comment: Its a great game, if you are into racing games, You have to play this! Great Features, can chat with friends, race with other cars, and do quests! 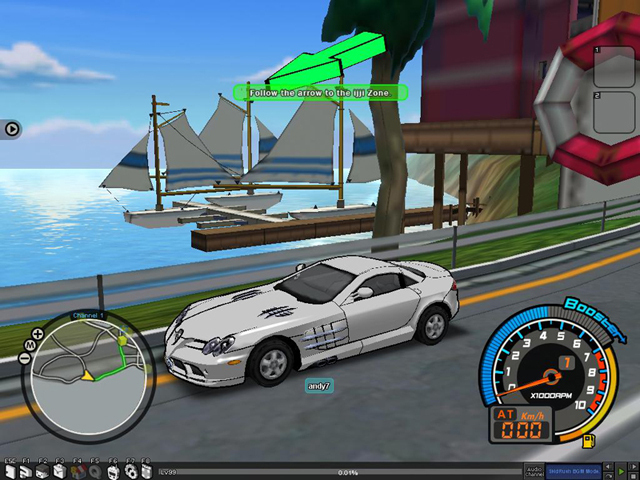 Comment: A pretty nice game, where you can do missions, race other cars, be in a crew (pretty much a clan) or just drive around, it has a nice story in it.